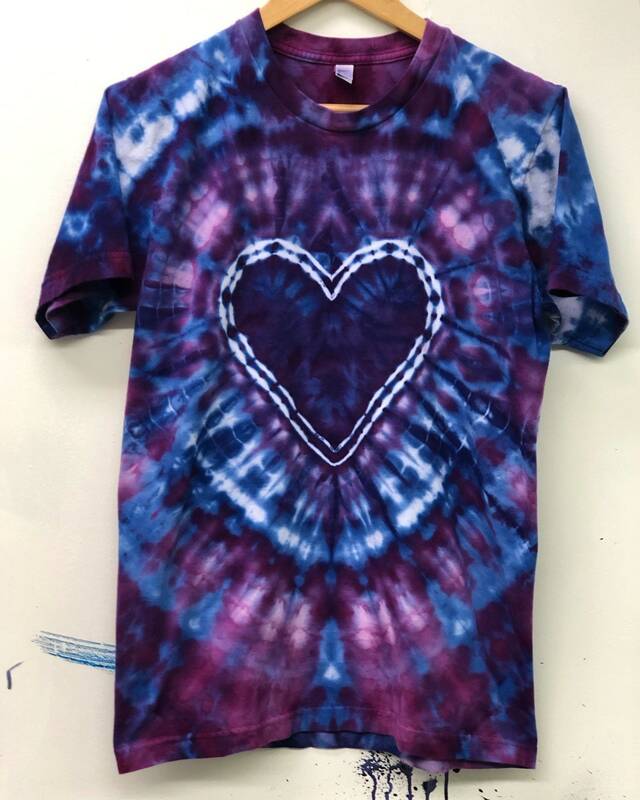 Tie dyed in the shades of purple, blue and pink. I got quite a few requests for this piece because it’s also available in kids sizes. Each piece is unique and will differ somewhat from the example listed. But that’s the charm of hand dyed! 100% Fine Jersey cotton construction, dyed in fade resistant dyes. Note: These shirts fit small. We recommend ordering one size larger than you usually wear. Or, order two sizes larger for an oversized look.